37 and 35 K's in a Game? TOP 5 Most Visited School and AD CLICKS Below?? 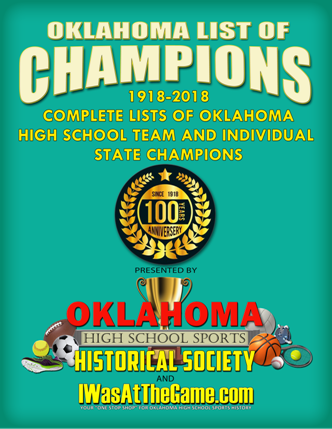 100 Years of Oklahoma High School State Champions, that's over 25,000 in one Almanac! Over 325 pages of champions in every sport, non-athletic actvities, teams, individuals, academic, IT'S ALL HERE! Get yours with FREE SHIPPING TODAY!